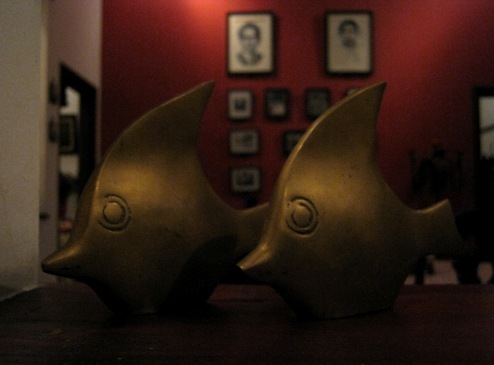 I saw these cute fish decoration at the same café where we ordered the sausage pizza that I shared in my last week’s MYM post. Was it made from brass? The pic looks rather dark as I didn’t use flash light. Great shot! Have a fabulous week! To retain the womanly shape under all these layers, Japanese women resorted to the obi, which is a sash-like fabric of about 9 feet long and around 24 cm's wide. [url=http://www.vanessasac.com]vanessa bruno sac[/url] In the meantime "the story" of course is "what about the other guys." that would be "every auto maker BUT GM." the theory of course is that "GM needs a credit arm." The practice of course is "Americans need cars." Should be an interesting story. I am 43 years old and was born in 1964 but I remember my early life at the age of 6 when I lived in Springburn.. The arch itself has seen moments like these -- such as General Charles de Gaulle's triumphant 1944 return to Paris -- as well as defeats that still sting French pride, such as Germans marching under the arch in 1871 and Nazis goose-stepping through in 1940.